G.A.P. Federal Credit Union in order to assure your financial future is smooth sailing. If you are a senior in high school or a full-time post-secondary education student working toward an accredited degree, your G.A.P. FCU Scholarship application is in the mail. All completed packets must be returned and postmarked no later than March 8, 2019. If you did not receive a packet, information can be downloaded HERE. Credit Union STUDENT CHOICE, a new alternative student loan program. G.A.P. Federal Credit Union offers an alternative student loan program, that helps students fill the funding gaps that federal aid can leave behind. Unlike other alternative loan products, G.A.P. Federal Credit Union’s Student Choice private loan solution offers significantly lower rates, zero origination fees and more flexible repayment terms. “As a not-for-profit credit union, we have the unique ability to design products that are truly in best interest of the student and their family,” said Sharon Lehman, Loan Officer. 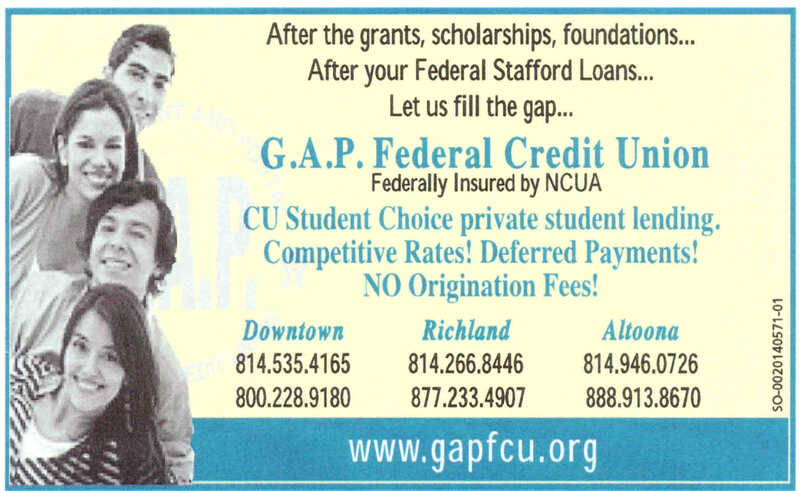 *****After your Federal Stafford Loans… ******Let us fill the gap! SUMMER SUN, FUN AND ....MONEY! Summer Sun, Fun … And Money! Summer is around the corner and you’re going to have a lot of free time. It’s also a great time to earn some money. There is no better way to earn money than by doing things you love to do. Here are some ideas to get you started on your fun summer job! What do you most enjoy doing? What are you good at? What special skills do you have? Love animals? If you have experience caring for pets of your own, you could provide a dog-walking service, or a pet-bathing service. Or you could be a pet-sitter for people on vacation. Enjoy kids? Babysitters are always in demand. Get special babysitter training at your local Red Cross (www.redcross.org) or YMCA (www.ymca.net). Are you a good learner? Maybe you’d be an excellent teacher, too. Start a tutoring service to help younger kids improve their reading, math, or science skills over the summer. Do you love working outdoors? Mow lawns. Wash cars. Weed gardens. Or if you have a plot of ground big enough, grow vegetables, berries, or flowers to sell at an outdoor stand. Are you good at arts and crafts? Maybe the beautiful things you like to make are things other people would like to buy, whether it’s jewelry, comics, or t-shirts. Like to be on the move? Run errands for people who are too busy or physically unable to get to the pharmacy, the grocery store, the library, or the video store. That’s just a starter list. You take it from here! The key to success is to get the word out about your services or products. Develop a good-looking flyer and post it–with permission–on bulletin boards in grocery stores and libraries, or post it on your social media pages. Be sure to let your parents know what you’re doing and where you are at all times. Then have a fun, safe, money-making summer! Members aged 0-18, YOU COULD BE A WINNER! 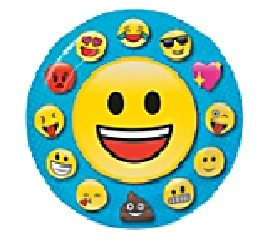 Find an emoji somewhere in your Birthday packet, call us and we’ll deposit $5 in your account! That’s $5 just for finding an emoji!! Look closely! Don’t miss out! An emoji will be in one lucky member’s Birthday packet every month!! Check it out, it could by YOU!!! 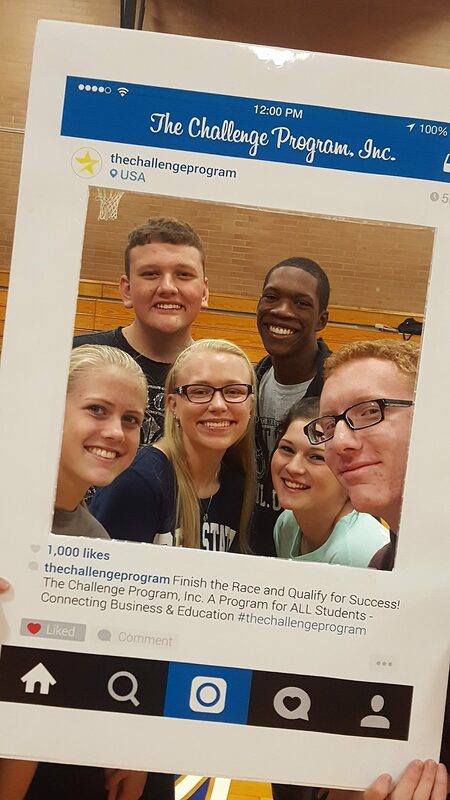 Look for The Challenge Program/G.A.P. Federal Credit Union banners and posters in your school or ask your guidance counselor for more information. 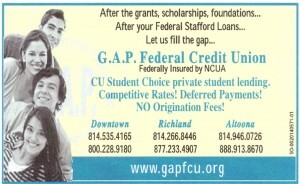 After the grants, scholarships, foundations… *******After your Federal Stafford Loans… **********Let us fill the gap! G.A.P. FCU Education Loans – Loan advances to $10,000 – 9.00%APR – 10 Yr Term – Invoice from school required. VISA cards are accepted. Our GAP Chek card is also available to you for withdrawals & deposits* from your credit union share or share draft account at ATM’s where the STAR symbol is displayed. No fee when used for purchases! $.25 Credit Union fee per ATM withdrawal. *A PIN (Personal Identification Number) is required to make these transactions. GAP ACCESS, our online banking service. Call any of our offices to enroll today! GAPnGO, our mobile banking app is available for your convenience. Download from the app store on your Android or Apple device. We are eager to help you to succeed on your life journey. No matter where your next stop is, we can help!! It’s time to roll up your sleeves and put that lifetime of education to work for you. Finding the right job isn’t easy—it takes motivation to go after the industry or company you want, effort to ace the application and interview process and a bit of luck to land the job. Read on for tips, advice and tools that will help ensure a successful search. Financial literacy is important and teaches Americans how to establish and maintain healthy financial habits.Take a moment and check out the links below to access the many free activities, educational tools and resources available. A FREE National Webinar powered by Student Choice to help educate families about the financial aid process. This informational webinar will take college-bound students and parents through each step of completing the FAFSA – their gateway to FREE financial aid. All they need to do is register online for either 1pm ET or 6pm ET. Check your balances, deposit, transfer funds and pay your bills from your mobile device. Download GAPnGO from the App Store on your Apple and or Android mobile device; follow the instructions to activate and you are ready to GAPnGO! Remote Deposit Capture(RDC) is now available! Print the RDC Policy and Disclosure; read carefully for deposit instructions; return a signed copy of the Disclosure to any of our offices. A signed disclosure must be on file before this service is activated. 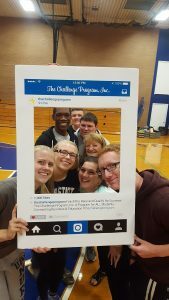 More photos from The Challenge Program’s Underclassman awards ceremony held on Wednesday, October 5, 2016 in the Conemaugh Valley High School gymnasium. In 2010 the research began… with Dave Lehman, the superintendent of Conemaugh Valley School District on board, Barb Grandinetti from The Challenge Program, Stacey Hazlett, Business teacher at CVHS and Diane Lopez, G.A.P. Federal Credit Union CEO/Treasurer, our student-run branch was launched. On February 9, 2011, a very successful grand opening was held and The Bird Cage Credit Union was established in Conemaugh Valley High School’s cafeteria. The Art Dept. designed several logos and the student body voted to choose the one that would best represent *their* Bird Cage CU. Wood shop designed and built the kiosk under our direction. The Business class wrote and recorded a jingle, which is played before the daily announcements. And they also produced a “video” advertising the Bird Cage CU. The branch is open on Mondays & Wednesdays from 10:30 AM to 1:00 PM during the school term. It is supervised by Bev Lovrich and Dawn Chase, but otherwise the students of the Business class are transacting every day business for their fellow students, staff and teachers of the school district. Bev and Dawn are available to transact business for any teacher or staff member when necessary. 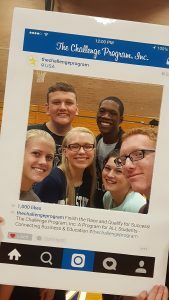 In September 2016, the Bird Cage Credit Union reopened for its’ fourth full school term with a new group of business students eager to learn. So far it has been a very successful venture with 106 new accounts having been opened since February 2011. The students were excited to have the opportunity to work at our Richland Branch two mornings again this past year to train and familiarize themselves with the credit union’s everyday operations. We are grateful to the school district for having embraced our idea and becoming involved to give these students the opportunity to learn about the importance of financial literacy. As a result, we have added one full time employee, Lacey, and three part time employees, Ally, Becca and Jake to our current staff. 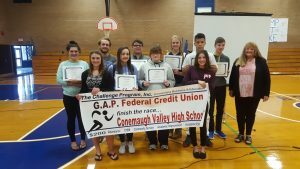 PHOTO CAPTION: Pictured here are the 2015/2016 Underclassmen Award Winners from Conemaugh Valley High School..
Back L to R: Lana Lee (Attendance), Trenton Curtis (Academic Excellence), Andrew Vogel (Community Service), Melanie Lint (STEM), Jekiah Matthews (STEM), Jacob Lamm (Academic Excellence), and Business Partner- Bev Lovrich (G.A.P. FCU). Front L to R: Cassidie Shultz (Community Service), Dezaray Baronie (Academic Improvement), Kaytlynne Boyer (Attendance), Ashley Thiel (Academic Improvement). 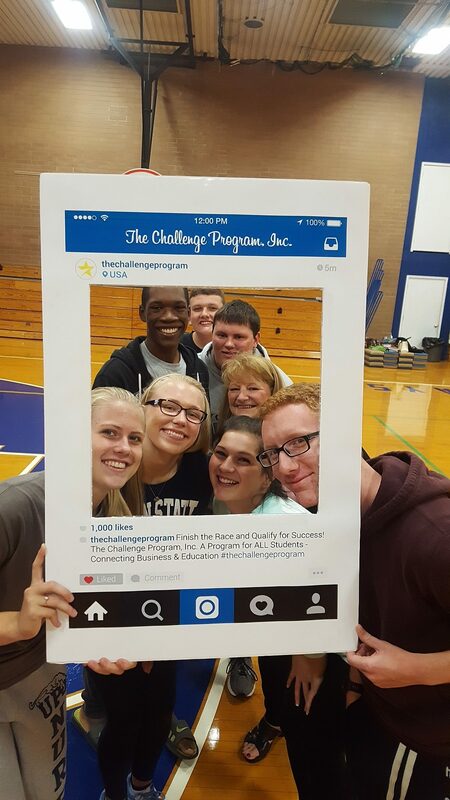 To kick-off the 2016/2017 Program year, students from Conemaugh Valley High School were recently introduced to The Challenge Program, Inc. during an orientation assembly at their school. The assembly theme was an Olympic trial that demonstrated the interview screening process to help students Qualify for Success. 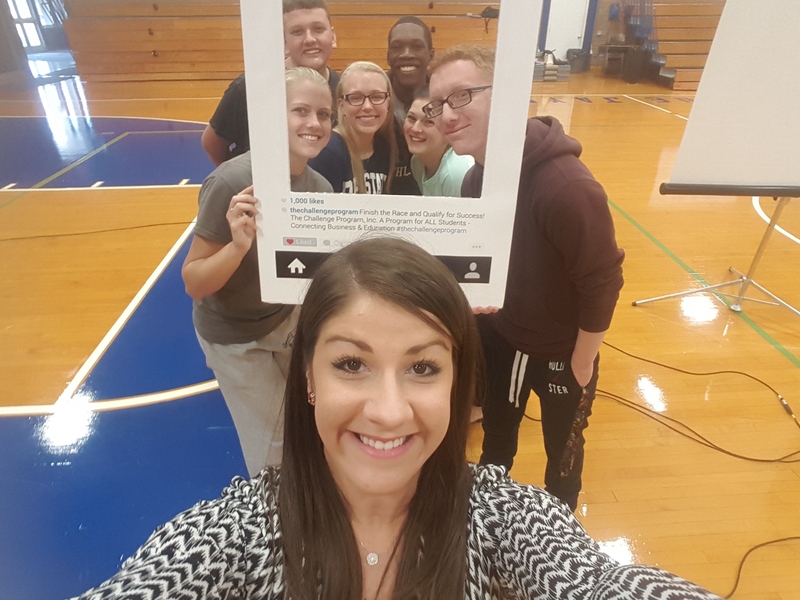 During the assembly, students in the sophomore, junior, and senior classes were introduced to local career opportunities at G.A.P. Federal Credit Union. Throughout the year, they will be eligible to compete for financial awards in five areas linked with academic and workplace success: Attendance, Academic Improvement, Academic Excellence, STEM (science, technology, engineering, math) and Community Service. The school’s business partner continuing their support for the 2016-2017 School year is G.A.P. Federal Credit Union.